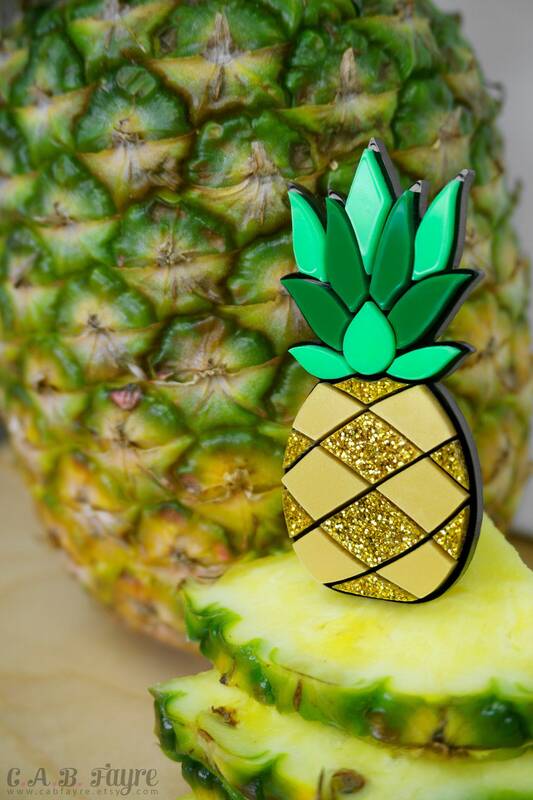 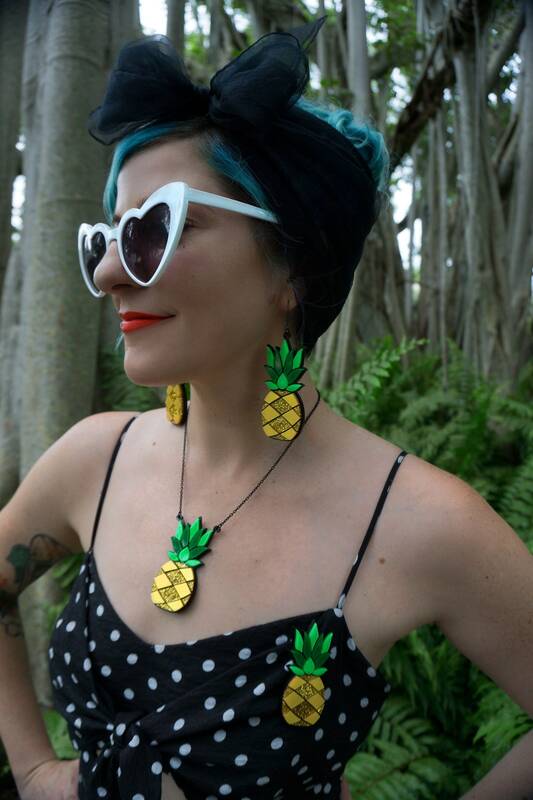 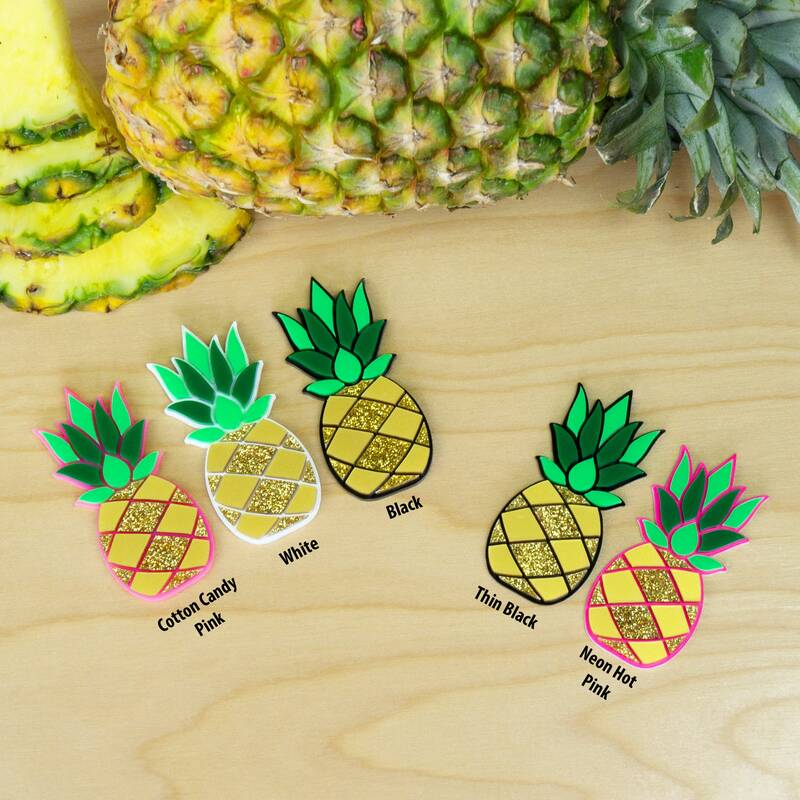 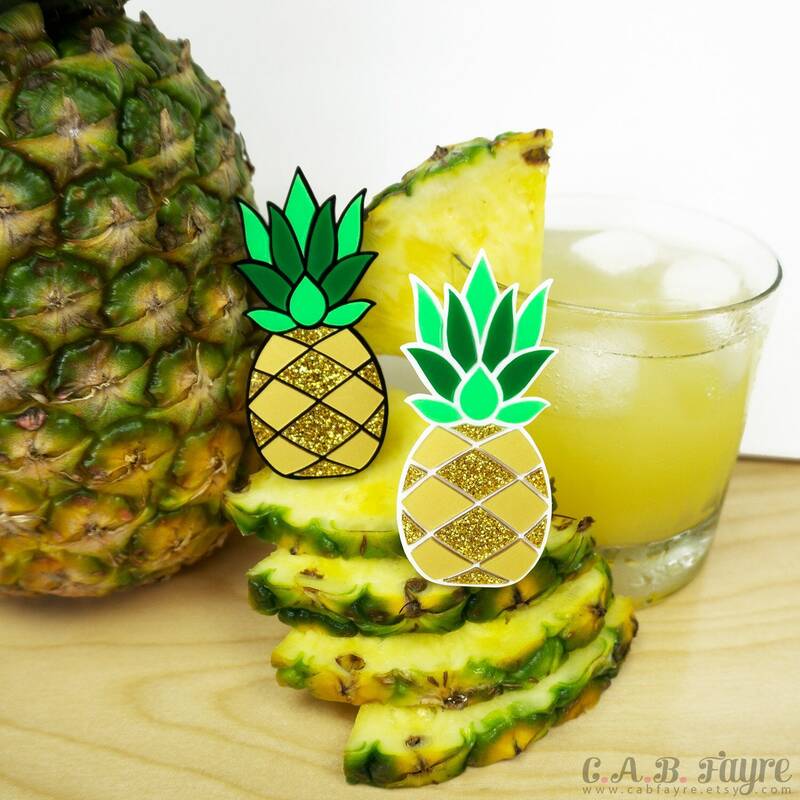 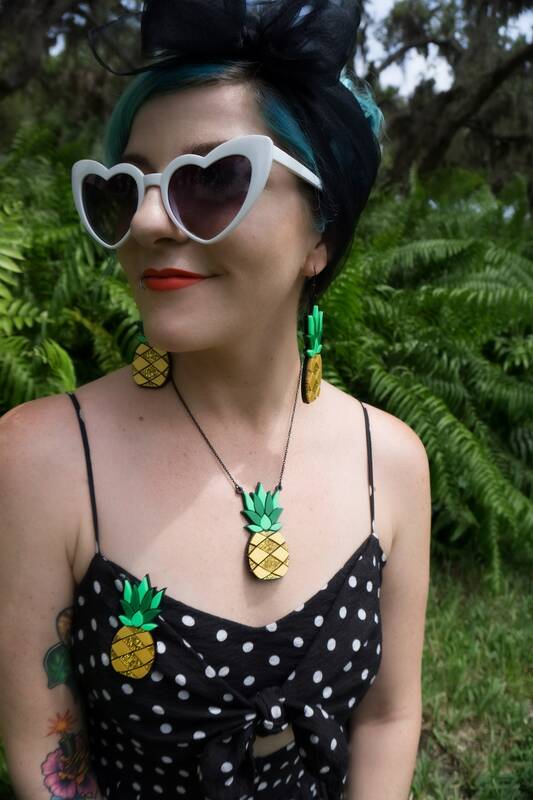 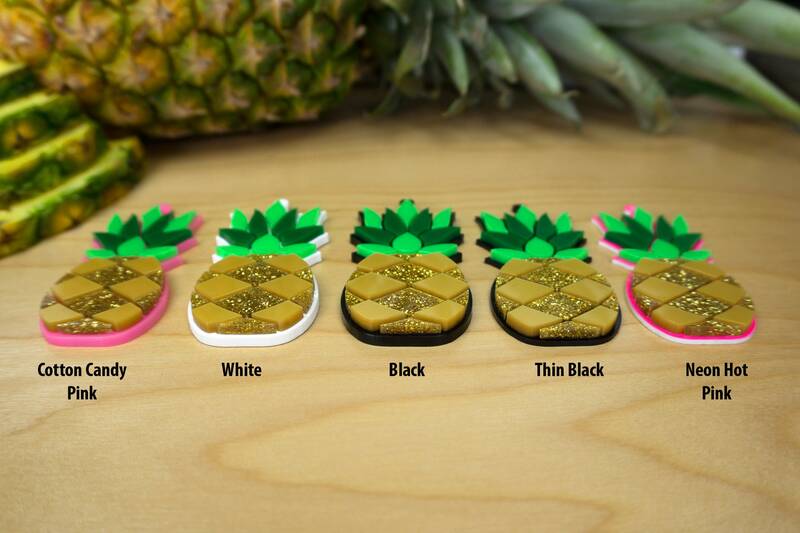 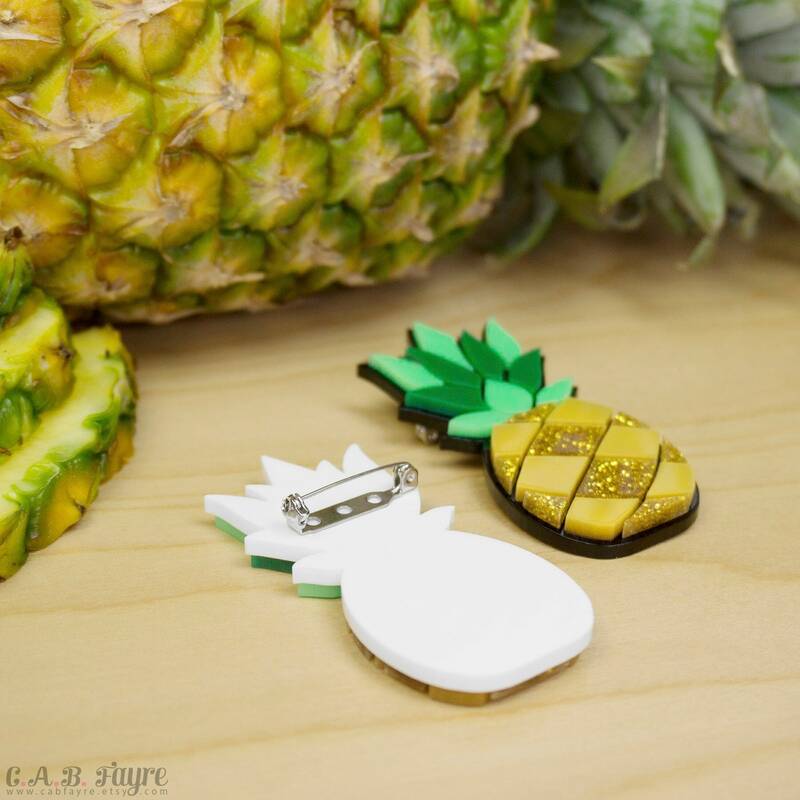 This golden pineapple brooch gives off major tropical paradise vibes and is sure to put you in a tiki party mood! 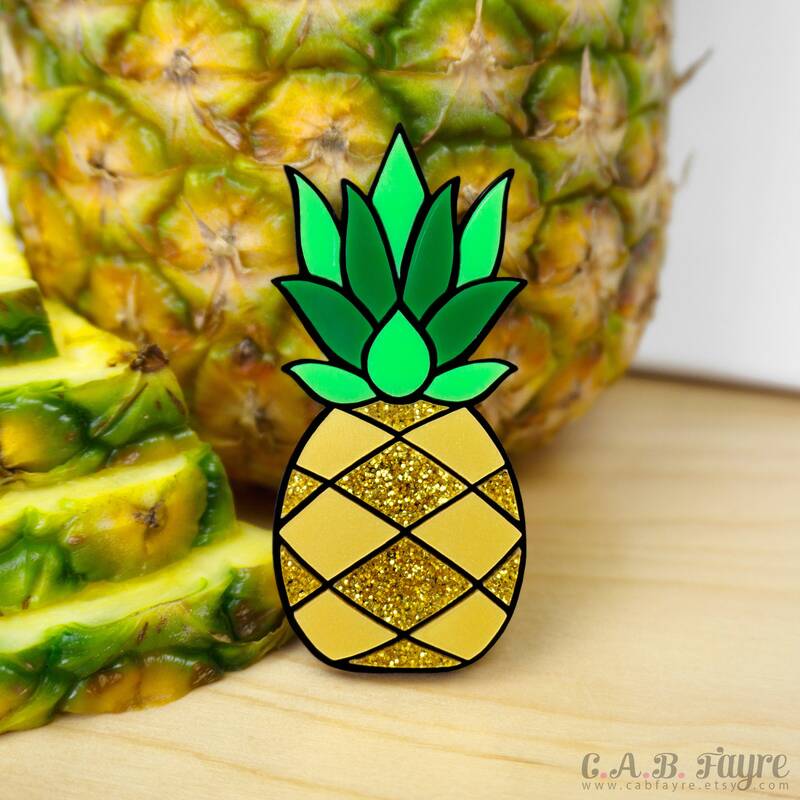 It is made of 2 layers of acrylic. 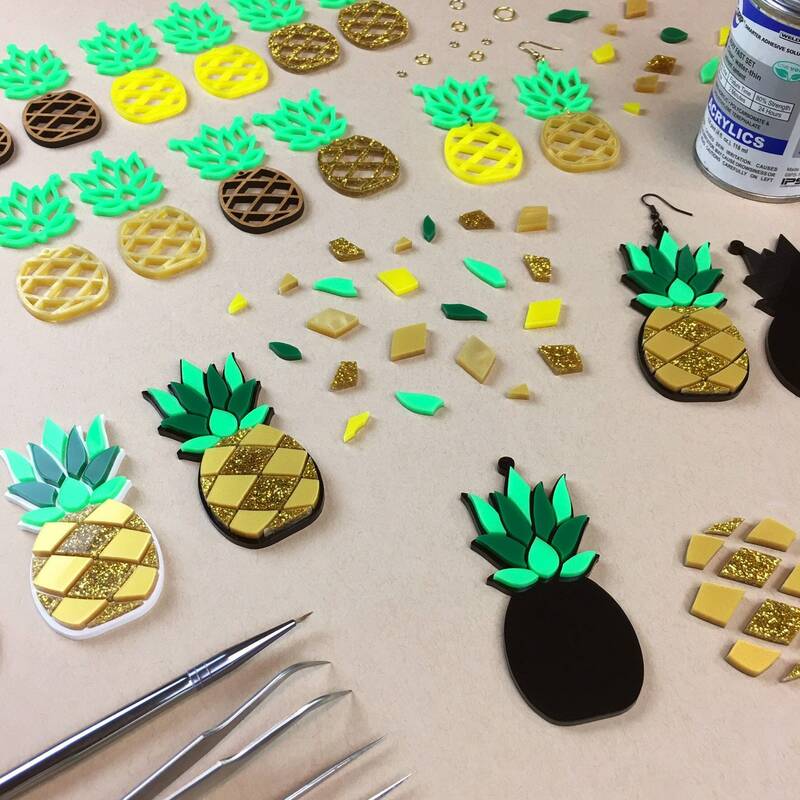 A black, white, or pink background piece with a gold & green pineapple layered on top in puzzle like pieces.